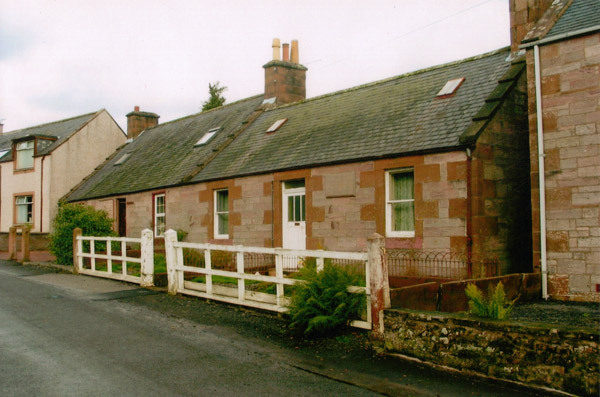 Sundial Cottage is a sandstone cottage dating from around 1830-40. William and Agnes Thomson moved into it in 1856 from March Cottage, Marrburn Road, Penpont having purchased theproperty for the sum of £17. They already had four sons but it was in this cottage that their last son, Joseph, was born in 1858. It was a simple '2-up / 2-down' cottage to which William a master stonemason made the significant additions of a cantilevered stone staircase and the armoury for the Penpont Volunteer Rifle Force above the yard outside. The house is built into the bank of the hill behind, divided from it only by a narrow, sandstone flagged yard adjoining a washouse, with a water pump and an open brazier for heating water. 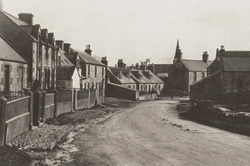 The Thomsons sold the cottage in 1868 for £75 and moved to Gatelawbridge. 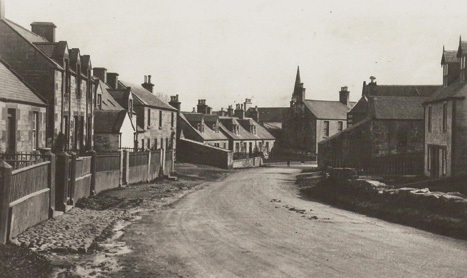 Eventually the cottage was bought by Buccleuch Estates after which it was let to a succession of tenants, the last of which was the Carsons. Jean and Doug Carson became tenants in 1925 and, as a widow from 1960 onwards, Jean remained the sole occupant until 1996. Her long tenancy ensured that the building remained very much as it was in the Thomsons' time with most of its original features. The cottage is now 'B' listed and became known as Sundial Cottage during the 1950s. If you would like to make a donation to the group, please click here to contact us.